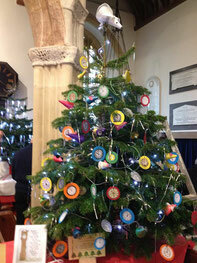 FOSP sponsored a tree again at the Stoke Fleming Christmas Tree Festival. The theme chosen was "Whether the Weather" to commemorate the new weather vane on the tower roof which was paid for by FOSP in September. It was featured in BBC Spotlight on Friday 11 December. The concert by The Kingsmen took place on Saturday evening. Unfortunately, the numbers in the audience were disappointing, but there was stiff competition from late-season holidays and a certain England-vs-Wales encounter. Nevertheless those of us who attended enjoyed an excellent evening. Those who didn't missed a treat. As well as the full chorus, the evening featured Josh Vaughan, guitarist and vocalist, and 4Kandles, a quartet from members of the Kingsmen. The new weathervane has now been installed on the tower roof. Thanks to the working party of John Dietz, Peter Bailey, Nick Teage and Richard Stramik. About 18 months ago, it was noticed that the weathervane on the roof of St Peter’s Church in Stoke Fleming, was not pointing in the right direction. After a close inspection John Dietz, the churchwarden, decided that it was time for the weathervane to be taken down for refurbishment. Having got the vane down, it soon became clear that the supporting pole was rotten and the only way forward was to buy a complete new fitting. 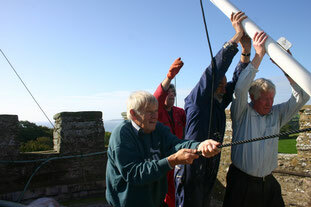 The old vane and pole were very heavy and difficult to manage in the perilous environment of the tower roof, so the PCC agreed that the replacement should be a much lighter aluminium fitting. 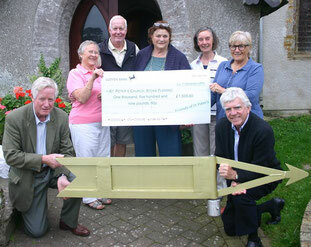 The new weathervane arrived at the beginning of this month and Friends of St Peter’s (FOSP) were very pleased to be able to pay for the replacement from their funds, as agreed at the AGM; they presented a cheque to pay for it on 11 September. 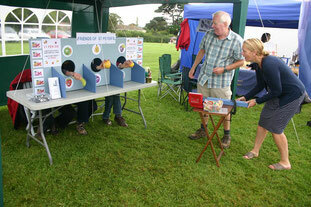 FOSP raised £81 at the Stoke Fleming Hort & Sport Show on 31 August, with their Human Fruit Machine. 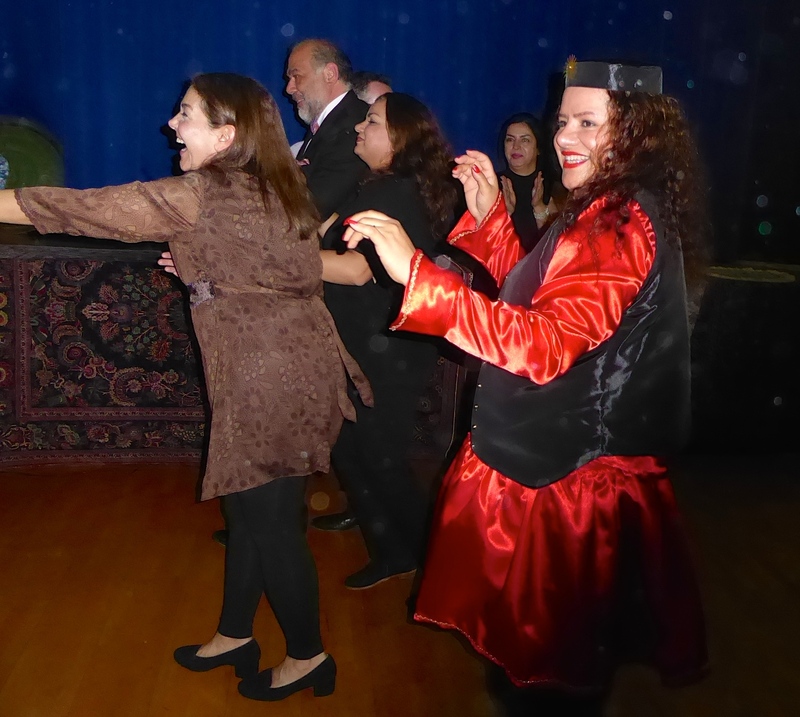 It was enormous fun and everyone thoroughly enjoyed taking part, whether as "fruiters" or "players". Many thanks to all our helpers and competitors. We had dry, fine weather this year, which made it all the more enjoyable. 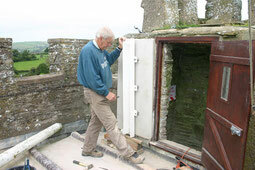 The £15,000 target for the renovation of the Church clock and conversion to electric winding has now been reached, although the actual work will take place as part of the wiser renovation of the tower and bells installation. FOSP members have agreed at their AGM that the next expenditure will be to replace the weathervane, which was taken down in 2014 because its supporting pole was rotting. The FOSP tree this year represented "Hickory Dickory Dock" reflecting our current fund-raising target for renovation of the church clock. 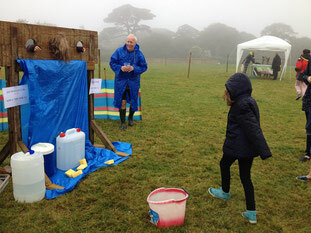 FOSP took the "Pillory" to the Hort & Sport Show on Monday 25 August 2014, and it was a very wet and windy afternoon. The weather put off some of the expected exhibitors and stall-holders, and the crowds were much reduced from the usual number. Nevertheless we managed to make our presence felt, even if we didn't raise a fortune for the Fund. 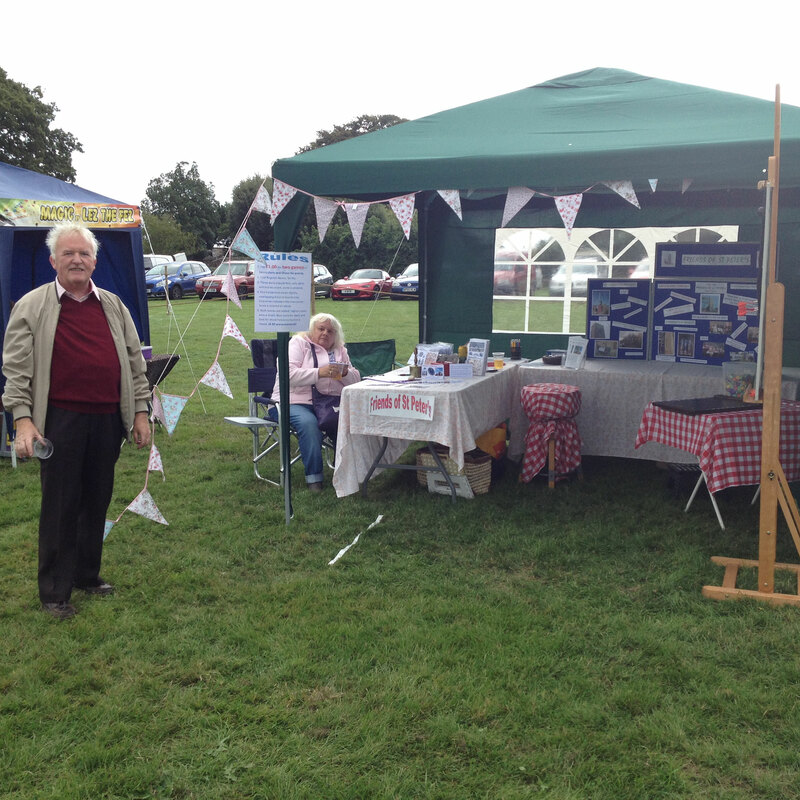 FOSP had a display at the St Peter's Tower Open Day on Saturday 2 August 2014. The day was very successful with over 250 people visiting at some point during the day and about £900 raised for the Tower Renovation Fund. Some 60 people went on the Tower Tours to view the clock, the bells and the view from the tower roof, and another 30 or so, who were disappointed on the day had specially arranged tours later in the week. 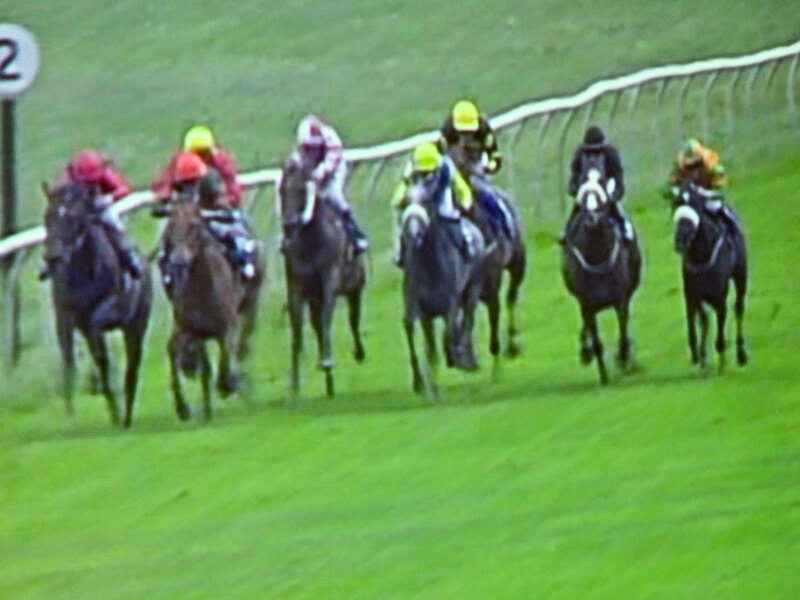 Another Open Day is planned for next year. 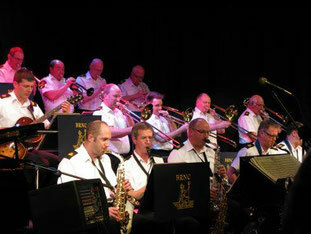 The renowned BRNC RN Volunteer Band came to Stoke Fleming Village Hall on Friday 13 June 2014 to perform as the BRNC Big Band playing toe-tapping music from the big band era and recent dance classics. 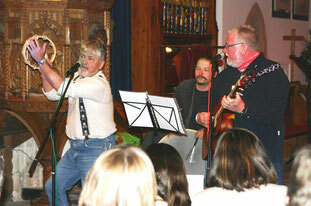 The concert was a great success and raised £900 for FOSP funds. The Band was formed in 2009 following the closure of the Band of HM Royal Marines BRNC. It is made up of ex-military & civilian musicians who share a love of good music. Last year the band won the Commander-in-Chief’s Trophy for the best overall band within the Royal Naval Volunteer Band Service for the second year in succession. 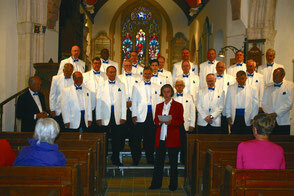 The first Stoke Fleming Village concert on 22 November was a great success. The church was packed and we were treated to a wide variety of talent from the Village, including songs and music (classical and modern), poetry readings, comedy, handbell ringing and a display by Little SODS (the junior section of the local dramatic society). The evening concluded with some rousing sea-shanties from our resident shanty band. 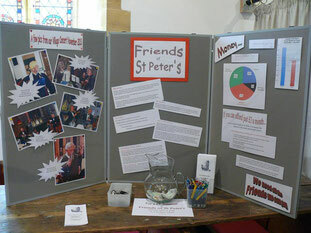 Thanks to the hard work of the Committee and helpers, and all the performers, we raised in excess of £1,000 for the Friends of St Peter’s funds.